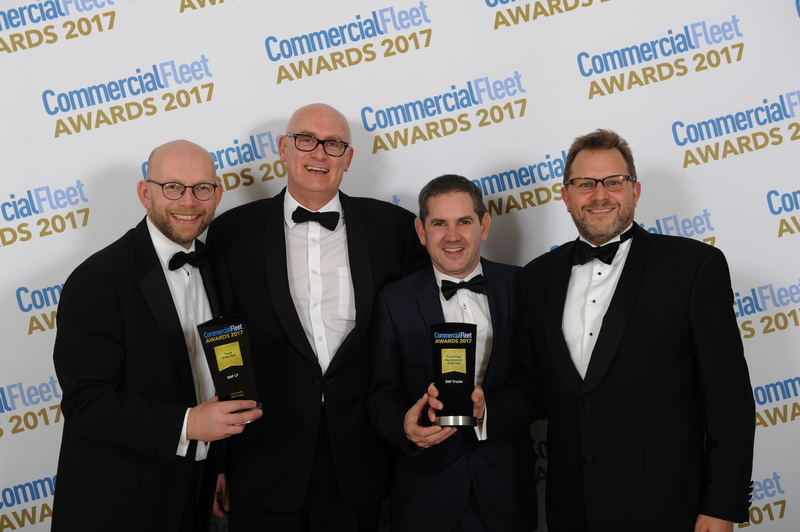 DAF receives two prestigious Commercial Fleet Awards - DAF Trucks N.V.
DAF Trucks was awarded the ‘Truck Fleet Manufacturer of the Year’ and the New LF received the top ‘Commercial Fleet Truck of the Year’ award by judges and readers of Commercial Fleet magazine at the Commercial Fleet gala ceremony. It is the third year in a row DAF received both of these prestigious awards in the United Kingdom. The awards underline the excellent quality of DAF trucks and services, which provide our customers the lowest total cost of ownership and the highest transport efficiency. “The awards are an important recognition from leading UK fleet operators, fleet managers and readers of Commercial Fleet who have a thorough understanding of the needs of the industry”, stated Richard Zink, Director Marketing & Sales and member of the Board of Mangement of DAF Trucks N.V.
DAF was awarded the Truck Fleet Manufacturer of the Year Award by a panel of fleet operators and fleet industry professionals. The judges commented: “DAF continues to innovate and its all new trucks focus on providing the lowest total cost of ownership through excellent fuel economy, greater payload, extended service intervals, the highest reliability and a premium driving experience. DAF’s New LF distribution truck won the commercial fleet truck of the year award following the vote by readers of Commercial Fleet magazine. Voting members commented that the LF provides the lowest total cost of ownership, has a tight turning circle and excellent visibility which makes it a driver’s favourite.. The Commercial Fleet Awards are organized by the leading British publication ‘Commercial Fleet Magazine’.